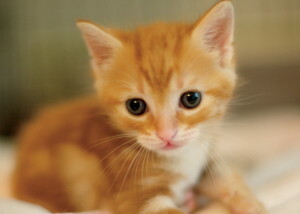 The proceeds from our sales go directly to support the cats and kittens here at the Goathouse Refuge. 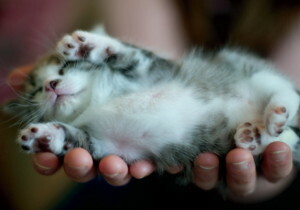 By purchasing items from our Shop, you are having a direct, positive impact on the life of a homeless cat. We thank you! A Note About Shipping: All items are shipped via UPS. Shipping costs are determined based on your entire order. To ensure the best rate, shipping costs will be determined when we take the ordered items to the UPS store. You will receive a call from the UPS store with the shipping quote and will be asked to authorize them to charge your credit card for the shipping amount. 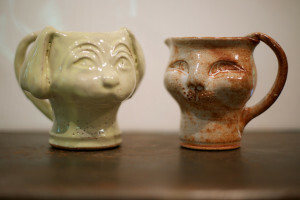 Purchase Siglinda’s unique pottery online and know that you are supporting homeless cats and kittens with any and every purchase. Ninety percent of the price of pottery purchases goes to support the cats and kittens at the Goathouse Refuge. 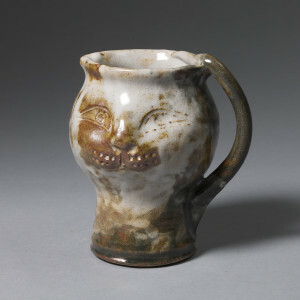 View a portfolio of her work at her web site, http://www.siglindascarpa.com/. The 2019 Goathouse Refuge Calendars are finally here! This year, we hope to empower and inspire you with our theme “Seasons of Soul.” Only $15 (plus S&H). Order one today! 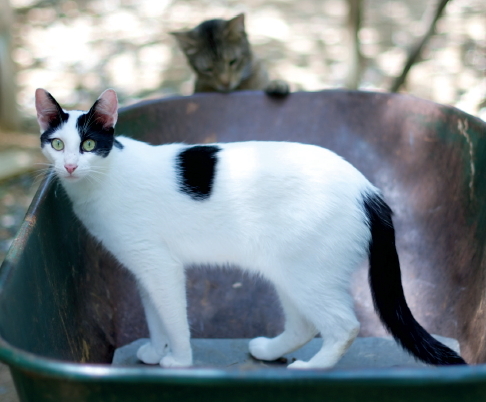 Get a bumper sticker for your car that tells everyone on the road – I support the world’s best cat sanctuary! Only $5 (plus S&H). Order one today! 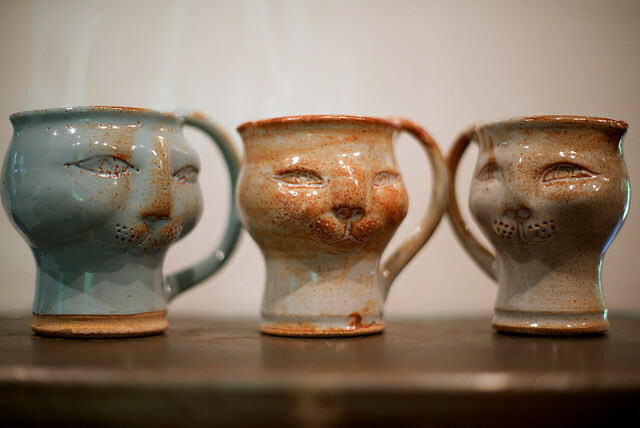 Purchase a one of a kind set with a coffee/cat mug combo that will make a unique gift for the cat lover, coffee lover or pottery lover in your life. You can’t beat it! Order beautiful Goathouse Notecards, featuring all new photographs of our own cats by animal photographer Tarrl Lightowler. 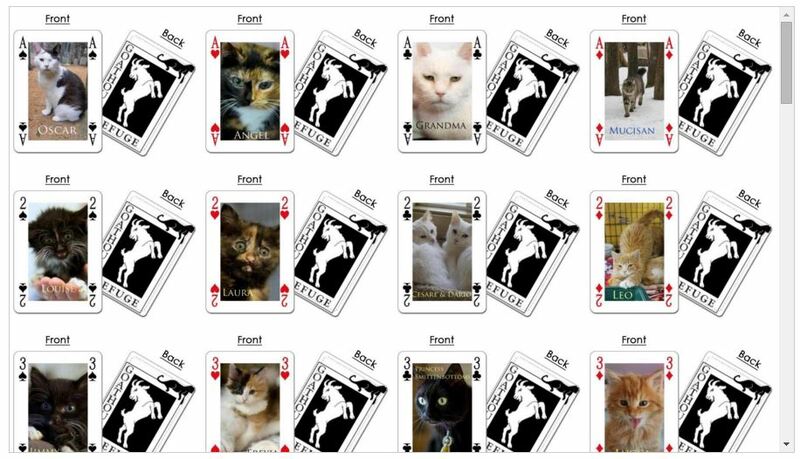 All note cards are foldover, 5×7, with matching envelopes. All proceeds benefit the Goathouse Refuge. Set of 5, $15.00 (plus S&H). 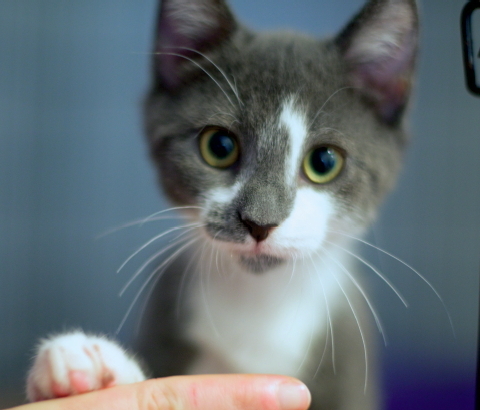 Play games and have fun while supporting the Goathouse kitties. Purchase cards with 52 individual pictures of our wonderful cats! Cards are $15 (plus S&H). OUT OF STOCK. 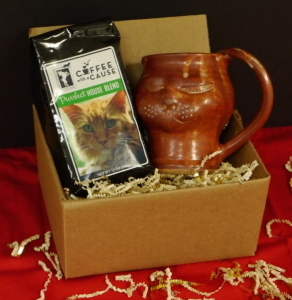 Support the Goathouse kitties by purchasing some of our fair-trade organic Goathouse label coffee – house blend, dark, espresso, and decaf blends are available and all are delicious! 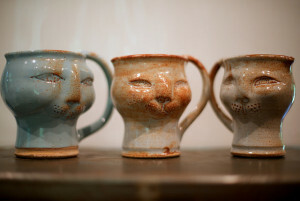 Pair it with one of Siglinda’s cat mugs and you’ve got a purrfect set! Order Siglinda’s Fig Festival recipe booklet, 13 original recipes that were prepared for our September ’08 Fig Festival. Each page has a wipe clean cover and it costs $13. 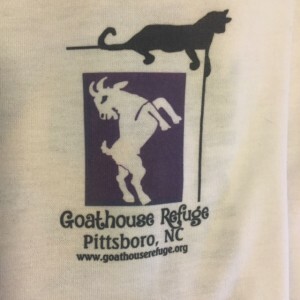 All profits from this sale benefit the Goathouse Refuge. Order fine art prints and specialty merchandise made from Abra Fortune Chernik’s photographs of Siglinda Scarpa and the Refuge animals. Items ranging from mounted canvas prints and ceramic tiles to aprons, tee-shirts, tote bags, and keepsake boxes are available. 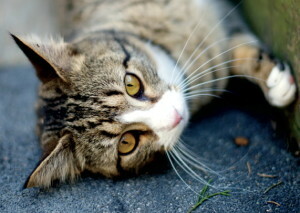 Would you like fine art photographs of your own animal? Do you live in the Triangle Area of North Carolina? Book a private session with our photographer-in-residence, and not only will Abra create a beautiful portfolio of your companion, she will donate 15% of her session fee back to the Refuge.